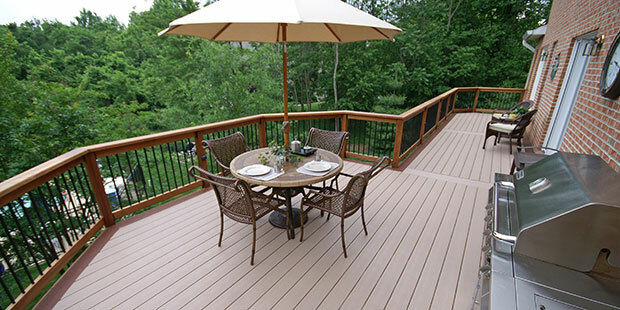 Starborn was one of the first companies to recognize that decks have evolved into individualized statements of modern residential living and that the quality of a deck fastener plays an essential role in the stability, the finish and the longevity of a deck. 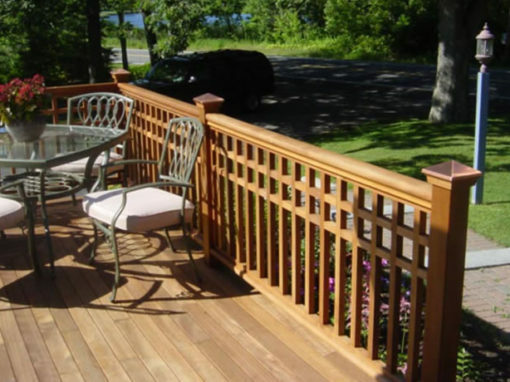 Headcote stainless steel deck screws with color coated heads are designed to blend with all types of decking, including Ipe, Cedar, Mahogany, treated lumber, PVC, composites and capstock. 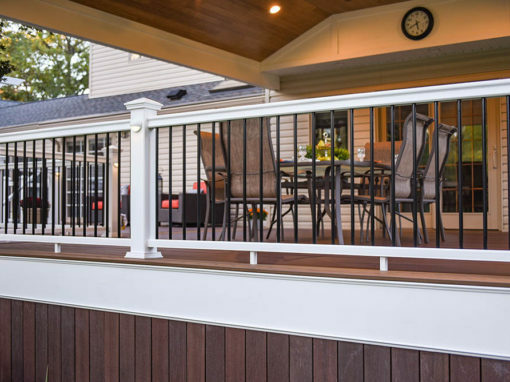 With 18 colors, many specially created for the newest deck boards on the market, Headcote offers the best color match possible. Headcote is available in both Grade 305 and 316 stainless steel. In addition to standard threading for trim and flat head, Headcote Cap-tor / Cap-Tor xd is available for both composite and capstock decking. Headcote is also available loose or collated. 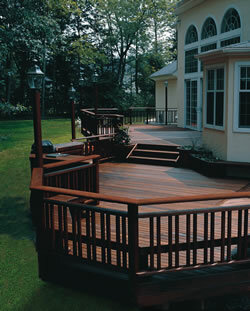 Cap-Tor / Cap-Tor xd is the only line of deck screws on the market designed specifically for capstock decking. 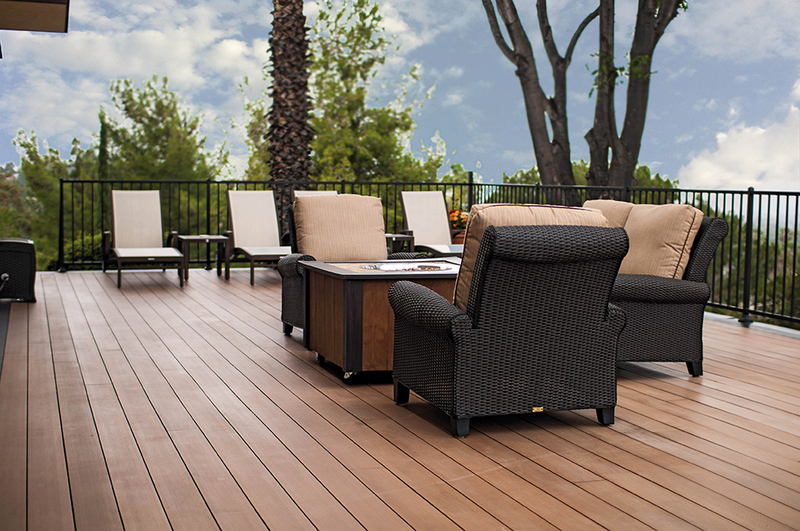 Capstock decking has an extra strong and stable outer layer with natural looking grains and colors. Typical composite decking fasteners cause several defects in the surface of capstock:dimpling, white shear and curled waste. 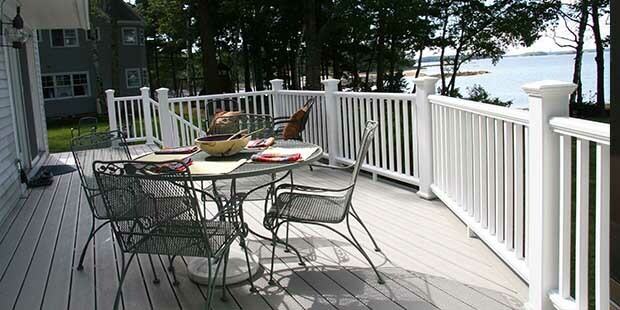 Capstock decks fastened with Cap-Tor have a clean, smooth and uniform appearance. Cap-Tor screws also work equally well in traditional composites. Deckfast is a line of deck fasteners that offers builders a wide range of high quality deck screws to meet all their decking needs. Deckfast screws are available in both stainless steel and epoxy coated hardened steel. 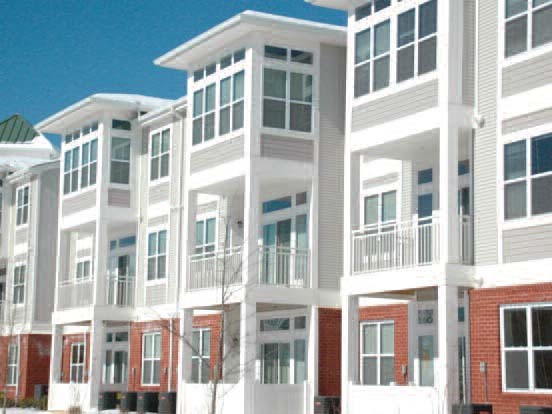 The epoxy coating on Deckfast Epoxy Coated screws provides excellent corrosion resistance and comes in four colors – Gray, Green, Red and Tan – to match treated lumber. The adhesion of the epoxy coating on these ACQ-rated screws is one of the very best on the market.Deckfast Stainless combines the same great features as Deckfast Epoxy deck screws with the added benefit of stainless steel for superior corrosion resistance. 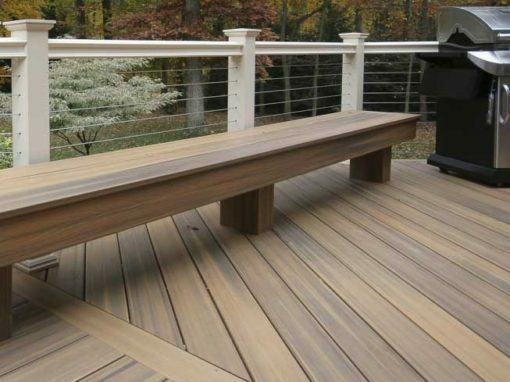 Smart-Bit is a line of precision tools that aid in the installation of decking products. These high quality tools help you do your job easier, better, and faster. Starborn Industries, Inc.’s Pro Plug components have all been specially designed and engineered to work together, perfectly. The beauty of the system is that it makes plugging so fast and easy that it now takes half as much time as before – sometimes even less. So if you’ve always valued the strength of top down fastening and the high-finish look of plugs but couldn’t invest in the extra time and labor, put the Smart-Bit Pro Plug System to work for you, today. Request your free Starborn Deckfast sample today!